After 3 decades of self-imposed exile, Azita Houshiar finally returned to her homeland country of Iran, as she had longed to do since the very minute she left it as a 10th grader. 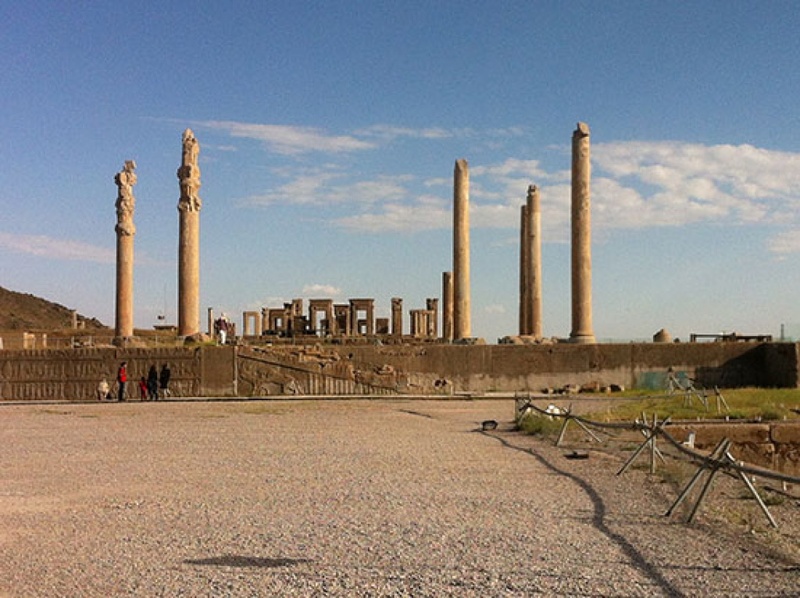 It was an epic journey, lasting nearly 3 months, and one that saw her exploring the bazaars, palaces, art galleries, bookstores, beauty salons, museums, mosques, Zoroastrian sacred sites, cemeteries, cafes, restaurants, shops, parks and private homes in Tehran, Yazd, Shiraz, and Kermanshah. She basked in the glow of renewed friendships and familial love, ate lots of delicious food, saw many amazing things, and feasted her eyes as often as she could on the sight of the majestic snow-peaked mountains of Alborz. And she found out whether a hyphenated person can ever really go back ‘home’. Who are Iranians? What is an ordinary Iranian like? 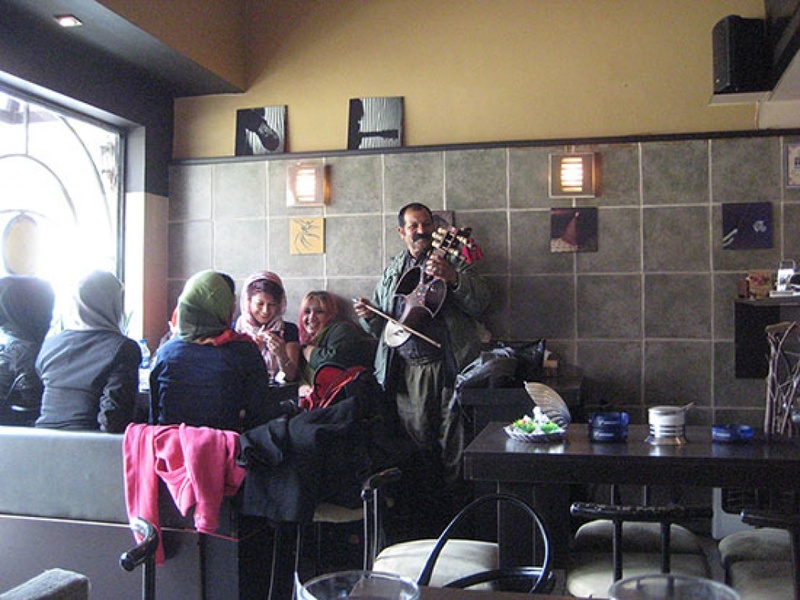 What is daily life like in Iran? What do Iranian people do for fun? Do they even ever have fun? Do they go out? Do men and women interact? How do women observe the mandatory hijab? Do women work? Do they have any parks? Can people have dogs? What do they watch on TV? Do people go to see plays? Are there any concerts? Is music allowed in public at all? Do they have movie theatres? Do women drive? Do they even have roads and cars … don’t they just live in the dessert and ride camels? Is there an art scene? Do they have bookstores? What is identity when straddling that hyphen for hyphenated people? What is exile? Forget about all this, tell me about the food, what is the food like in Iran? Then come and find out! There will be Persian music and Persian food will be served. 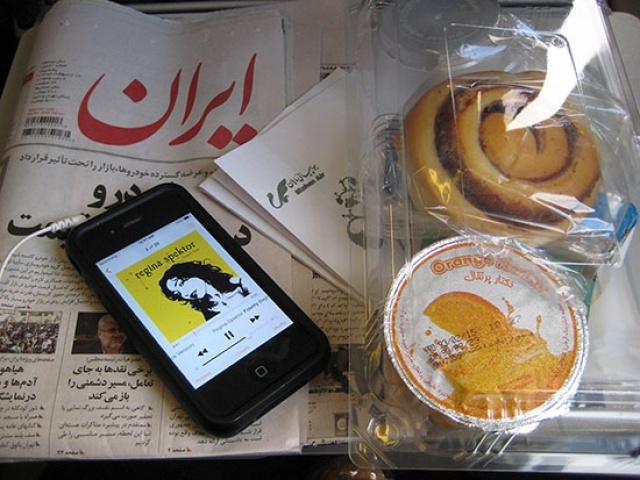 Azita Houshiar is an Iranian American writer, illustrator, and food blogger. She studied law, got a J.D and an LL.M., passed 3 bar exams, and amassed a fortune in student loan debt, just so she could pursue a career as a starving artist. She just likes to roll that way. She was born in Tehran, she lives in Brooklyn, and she dwells in possibility.